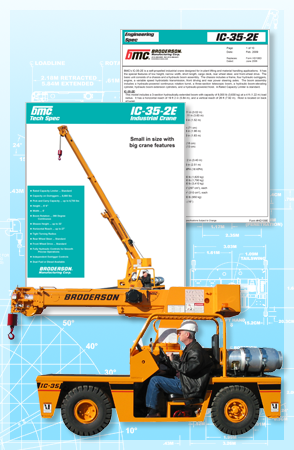 Broderson is not only dedicated to providing the best cranes, but also the best service and support. Whatever your model, our team of specialists—possessing a wealth of knowledge from decades of experience—is committed to quickly resolving any problem you may encounter. We want to do everything to make your Broderson equipment as productive as possible and minimize costly downtime. The Broderson Tech Support team, in partnership with Broderson dealers, also offer regular training classes for Broderson products. Call us to make arrangements for your training needs.